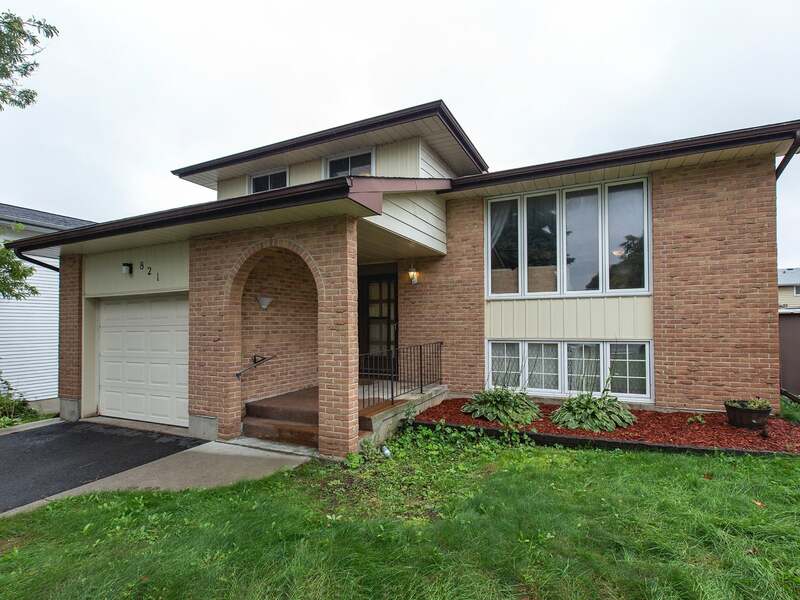 Spacious 5 level side-split set on a quiet street in Kingston’s west end. Offering over 2,000 sq/ft of finished living space featuring formal living/dining rooms with oak hardwood flooring, large kitchen w/breakfast nook overlooking the family room with fireplace and patio doors to west facing rear yard complete with in-ground pool, concrete patio and deck. Mud room between the garage and family room plus powder room and side entrance to outside. 3 bedrooms up including 15’ x 12’2 master bedroom with double closets, 4-piece main bath w/ceramic floors. Finished lower level with 19’2 x 16’2 rec room and large windows plus laundry/mechanical room and additional 5th level great for storage. Attached 1 car garage, paved driveway w/curbs, central air and more! Close to the park, library, shopping centre, schools and all west end amenities. Lot Size 50 x 110 Sq. Ft.